In 1953, John Steinbeck published a story in Harper's Bazaar, called Positano. "Positano bites deep. It is a dream place that isn’t quite real when you are there and becomes beckoningly real after you have gone. Its houses climb a hill so steep it would be a cliff except that stairs are cut in it. I believe that whereas most house foundations are vertical, in Positano they are horizontal. The small curving bay of unbelievably blue and green water laps gently on a beach of small pebbles. There is only one narrow street and it does not come down to the water. Everything else is stairs, some of them as steep as ladders. You do not walk to visit a friend, you either climb or slide." I am enjoying a two week holidays in the Amalfi area, and I can see why authors (and artists) fell in love with Positano. "Similarly, although what I wrote was always assumed to be autobiographical, I never once wrote about myself, or the self who was doing the writing. All my women protagonists were victims of their insensitive husbands; none of them did any work; they had children, but didn't get much enjoyment out of them; they had obscure, meaningful problems, but never about the gas bill or school fees; they weren't particularly bright or particularly good-looking or particularly anything. God knows who they were, but I knew them well." "If the alternative was a happy life with John there was no question which I would choose. I gave in, agreeing not only to abortion, but also to sterilisation. It was a permanent commitment to John's happiness. My own, I assumed, would follow." 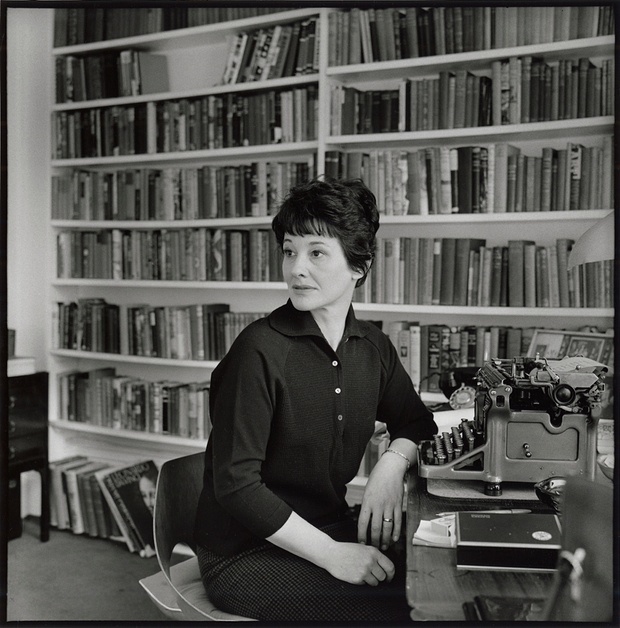 In 1962 Penelope Mortimer published The Pumpkin Eater, a devastating book about the emotional breakdown of a woman, in which no details were spared: infidelity, motherhood, abortion, suicide, sterilization and 'emotional weather'. The book was turned into a film (starring Anne Bancroft, with Harold Pinter writing the script) and was Mortimer's biggest success.